To provide children with a happy childhood. To help students to build on their strengths and learn skills for shaping their futures. To help people to do satisfying work. To help people to learn how to overcome setbacks and challenges. To build cultures in which people can achieve peak performances. Positive experiences provide people with memories for life. They love being encouraged, feeling alive or enjoying a stimulating event. At the other end of the scale, people sometimes gain from learning how to deal with painful setbacks. They feel more able to shape their future lives. 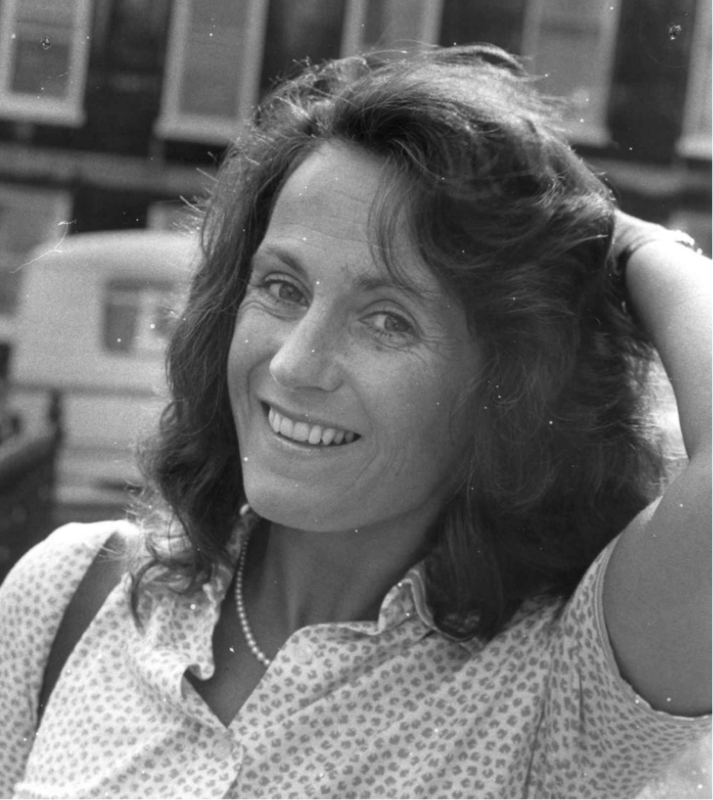 Looking back on your own life, who has helped you to have a positive experience? They may have encouraged you in your daily life, created an inspiring event, enabled you to apply lessons from overcoming a challenge or whatever. 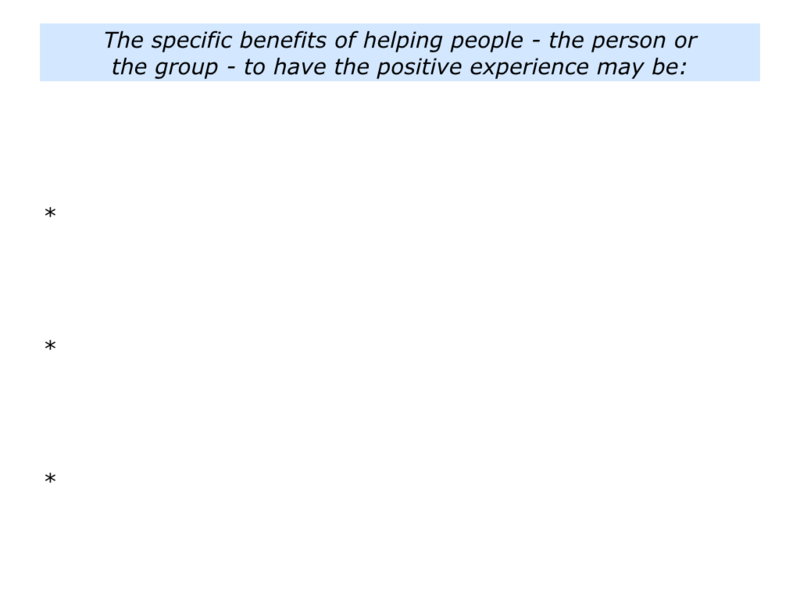 Describe a specific example in the past when people – a person or a group – helped you to have a positive experience. Describe the specific things the people did then – the principles they followed – to help you to have a positive experience. 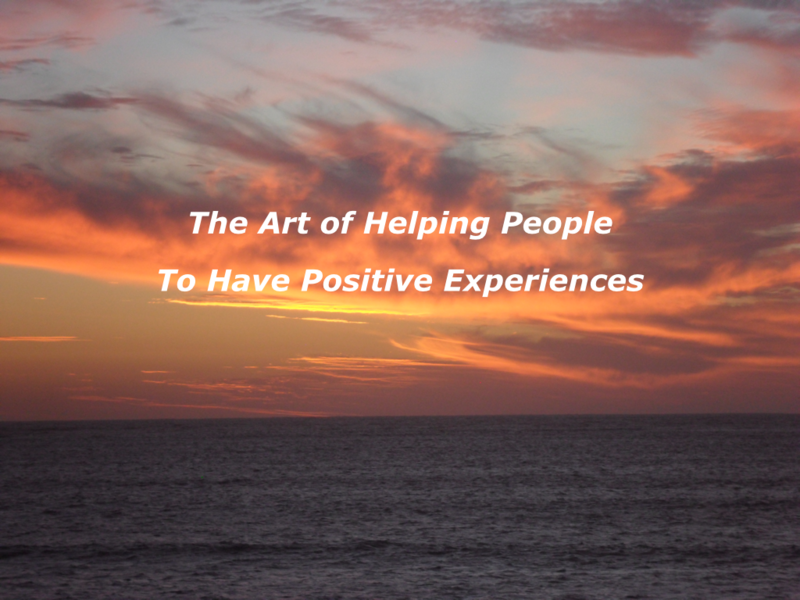 Describe the specific benefits you gained from the positive experience. People sometimes dedicate their lives to, as far as possible, providing others with positive experiences. Sometimes the emphasis is on joy and encouragement. 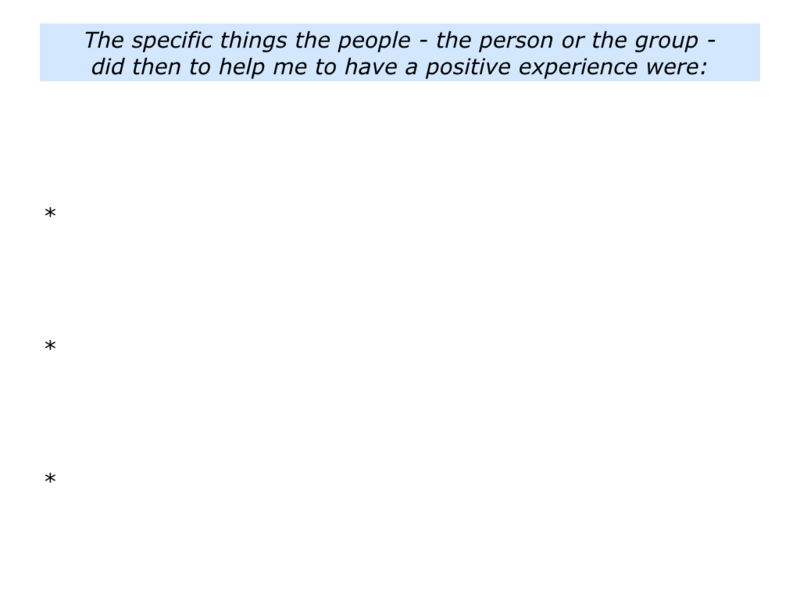 Sometimes it is on enabling people to recover from difficulties. Henry Pluckrose, for example, was a pioneering educator who helped children to learn how to learn. Some went on to become educators themselves and pass on knowledge to future generations. Here is an introduction to his work. We can show you how to live well with cancer and take back control of your health and wellbeing – before, during and after treatment. People want to be known for their sparks. You will, of course, have your own way of helping to provide people with positive experiences. If you wish, try tackling the exercise on this theme. This invites you look ahead and do the following things. 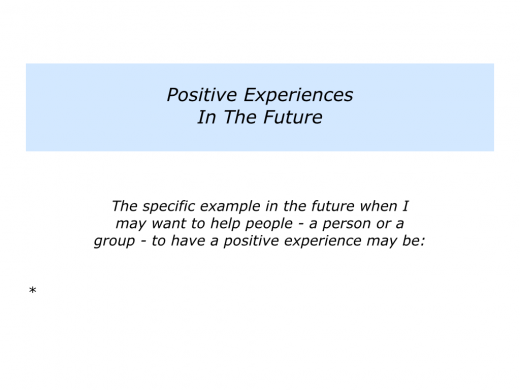 Describe a specific example in the future when you may want to help people – a person or a group – to have a positive experience. 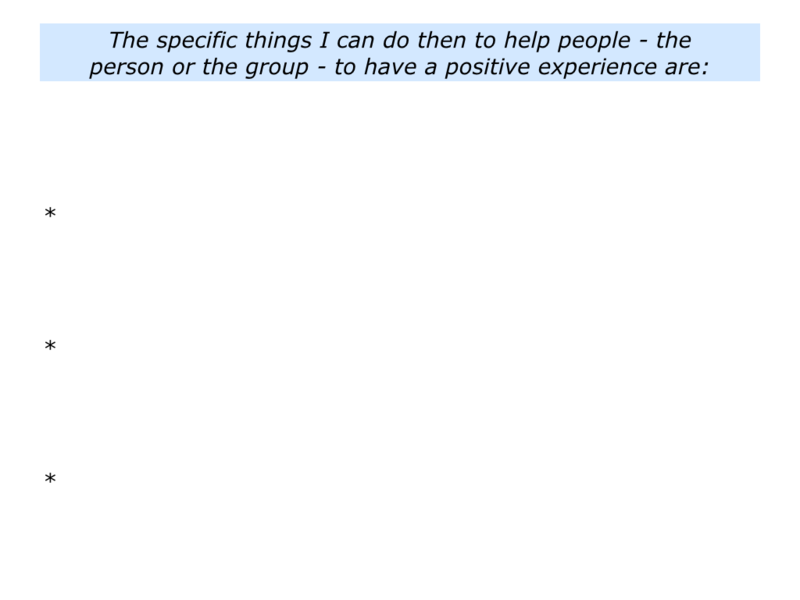 Describe the specific things you can do then to help the person or the group to have a positive experience. Describe the specific benefits the person or group may gain from the positive experience.